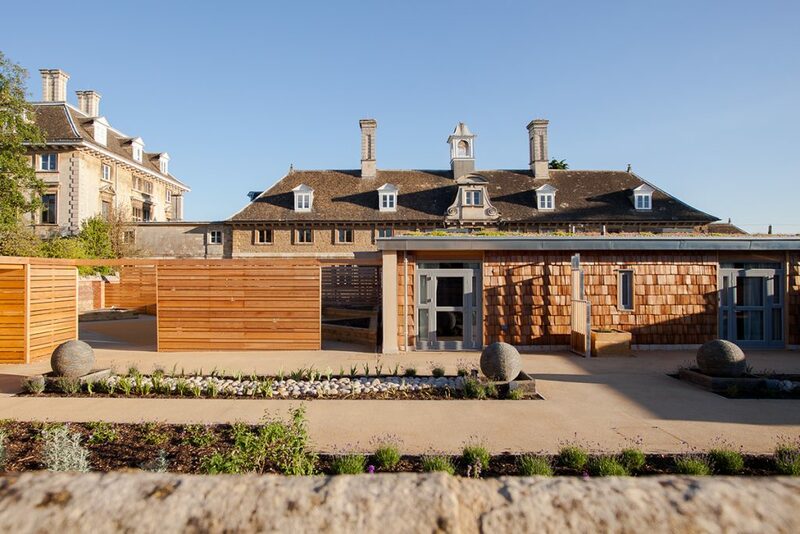 In September 2015, the second phase of the practice’s work for Sue Ryder at the Grade I listed Thorpe Hall at Peterborough was officially opened by HRH The Duchess of Gloucester. 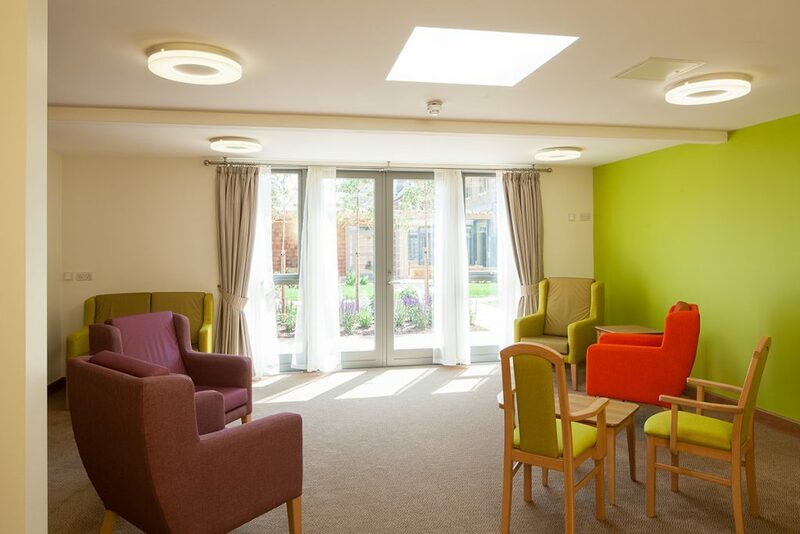 The £6.5m development of a 20 bed ward is set in the old kitchen garden of the Grade 1 Listed country house – one the finest buildings in the east of England – which was constructed between 1653 and 1656 for the Commonwealth’s Lord Chief Justice, Oliver St John, and itself set within a Grade II Listed Landscape, giving both historical and architectural uniqueness.. 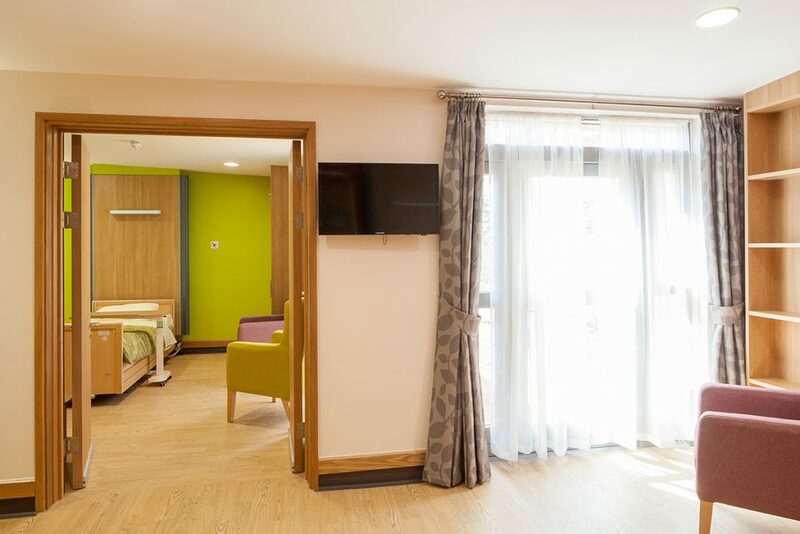 The Hall had previously been used as a maternity hospital, and the charity purchased the property in 1986 to provide care for people with active, progressive illness including complex neurological conditions. 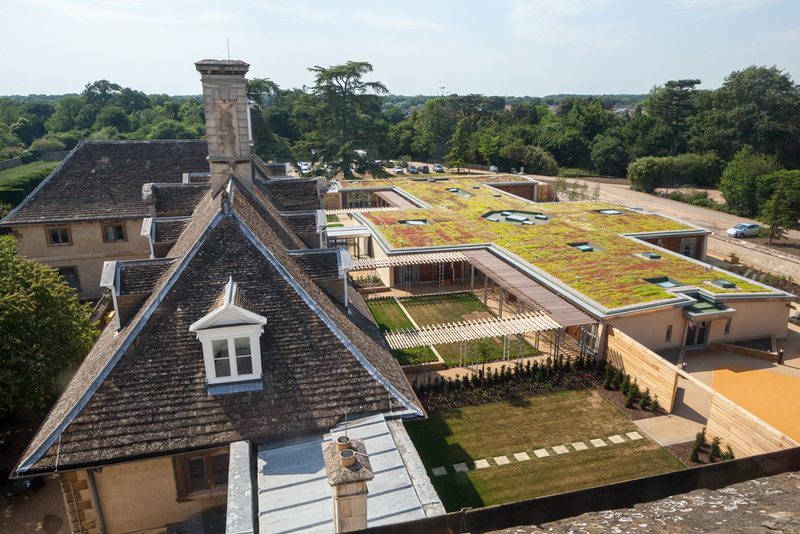 The sensitive setting required the JDDK team to begin extensive discussions with English Heritage and Peterborough City Council in 2010 which culminated in the successful planning application of 2011. 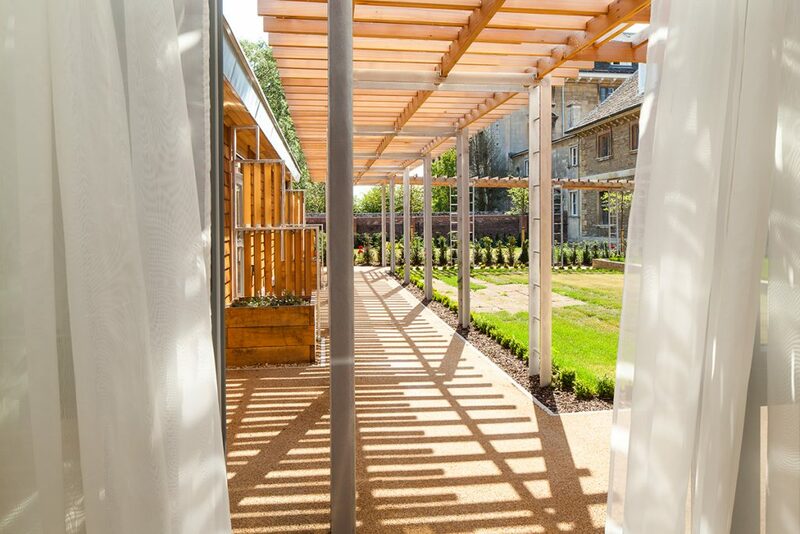 The design proposals were deliberately low impact in response to the planning restrictions and proposed a single storey timber framed structure containing 20 ground floor rooms with en-suite facilities and individual patio doors opening onto the garden areas. 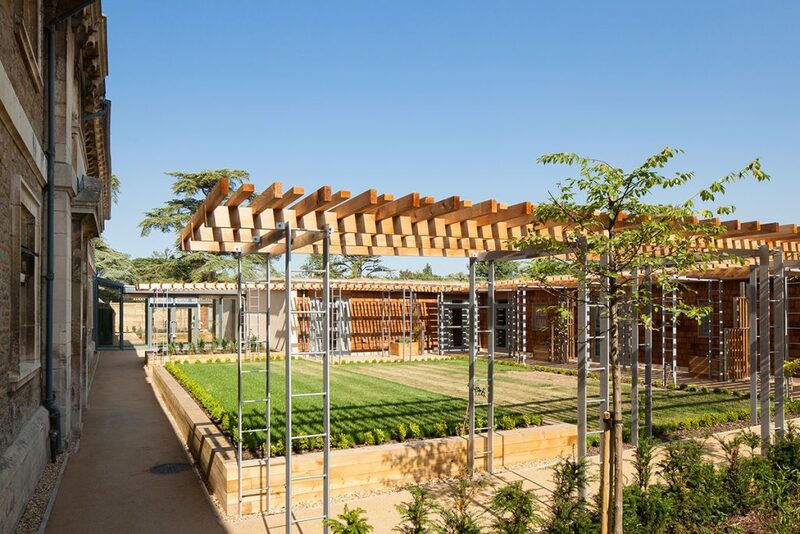 This contemporary and low impact structure also featured a full sedum roof to merge in with the gardens when viewed from the adjacent Hall, timber clad walls, high levels of thermal insulation together with use of ground source heat pump and was fabricated off-site to minimise disruption to the normal running of the hospice. 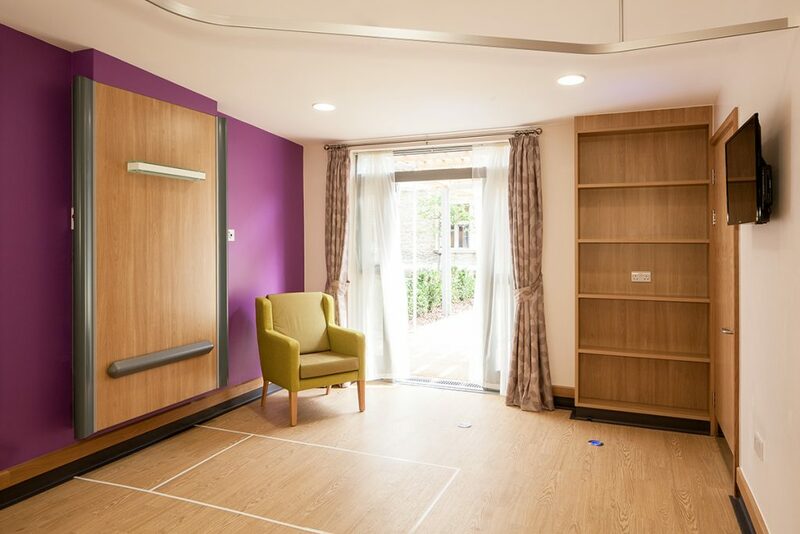 It was one of the most challenging palliative care projects that the practice had undertaken and, tragically, one of the final pieces of work undertaken by Ian Clarke.